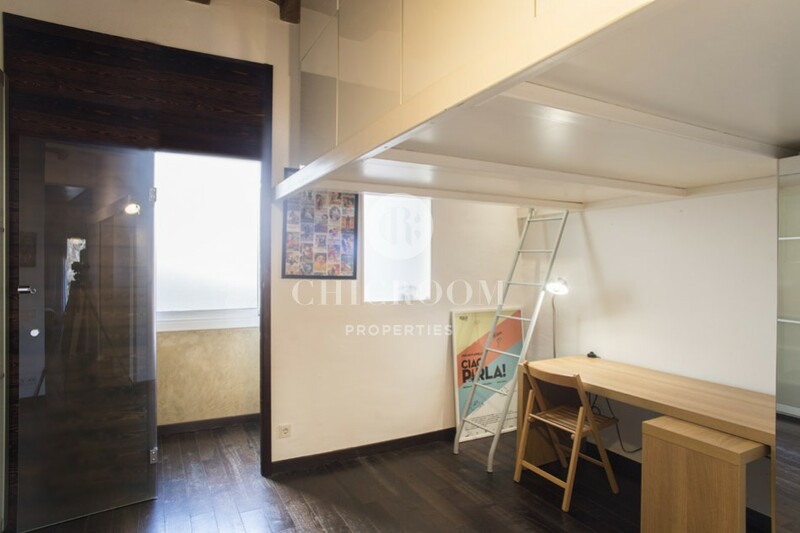 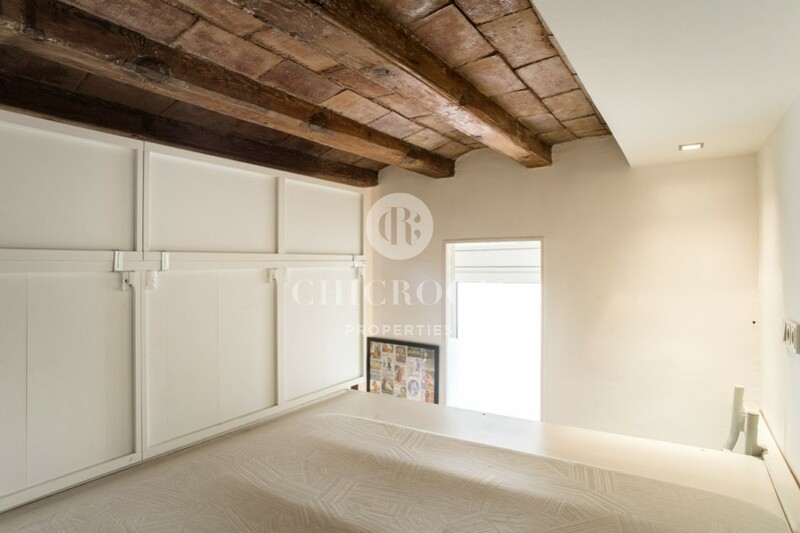 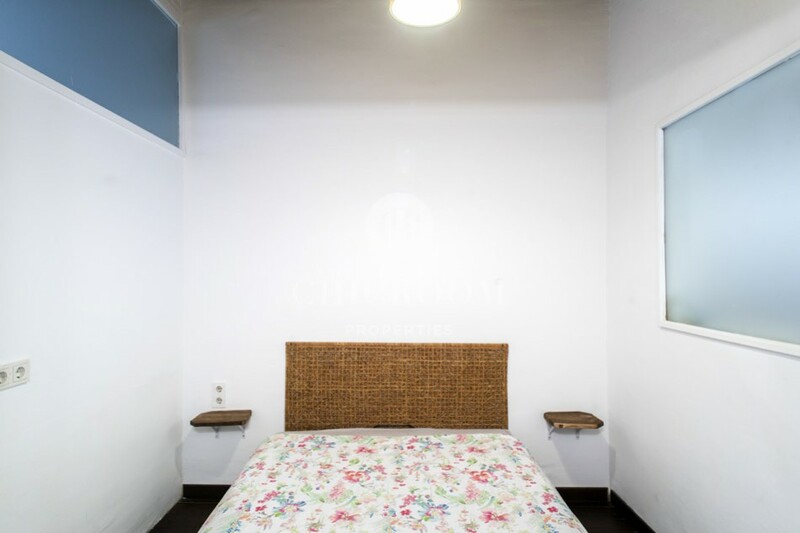 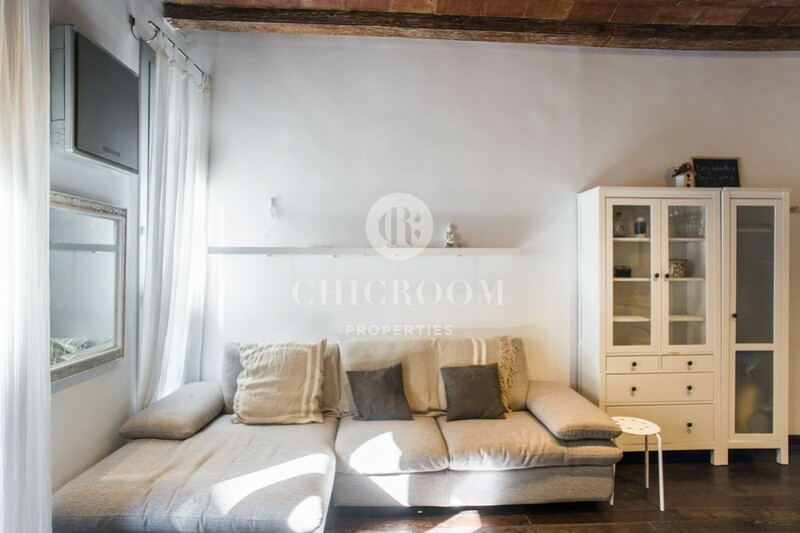 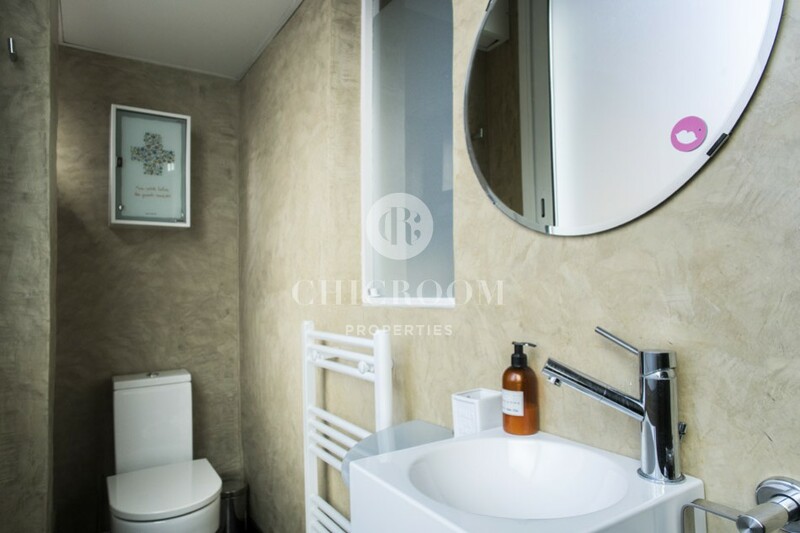 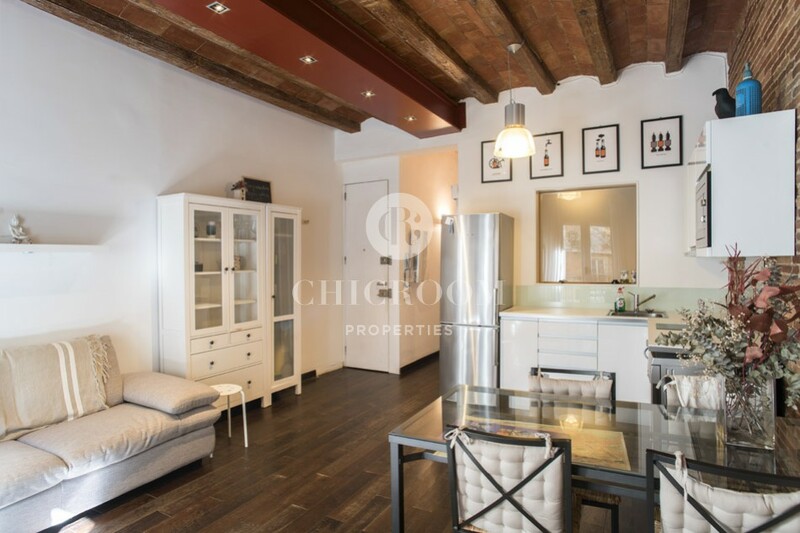 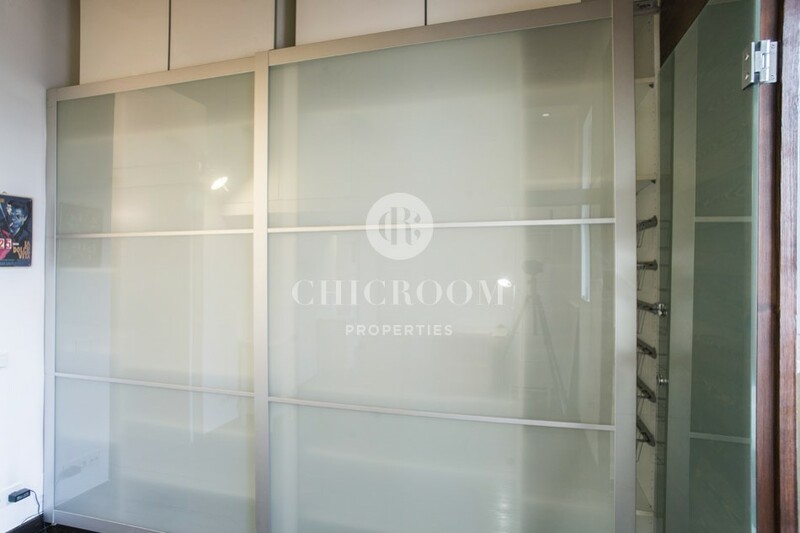 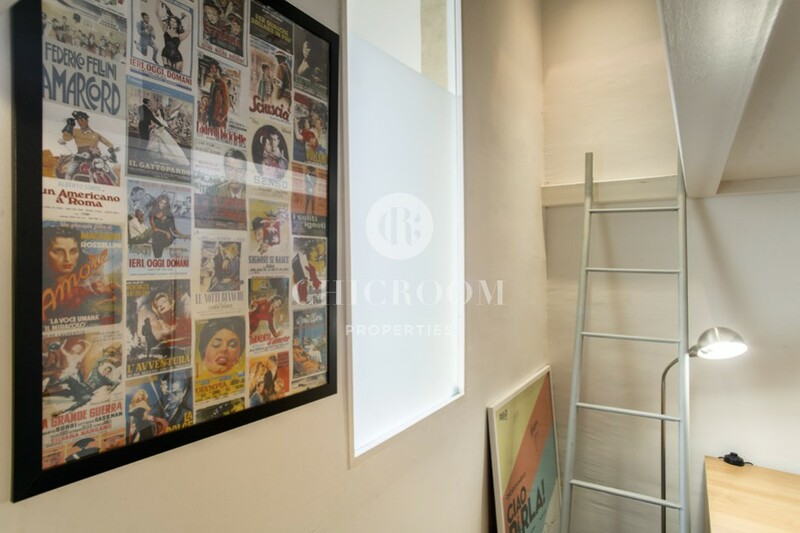 At ChicRoom Properties we have a particularly charming property open to visit now with this 2-bedroom apartment for rent in Eixample, Barcelona. 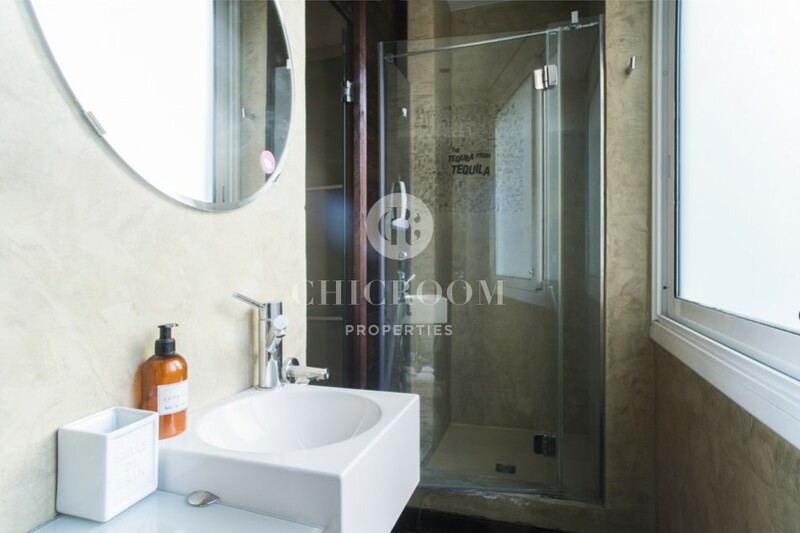 Thanks to an ideal central location of the city, the occupants can comfortably enjoy the proximity of everything. 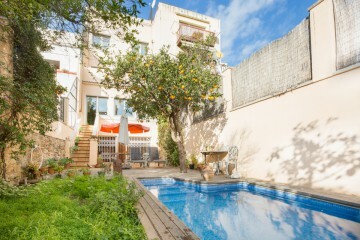 Althought the interior decoration is modern and has been renovated, the original character has been well maintained. 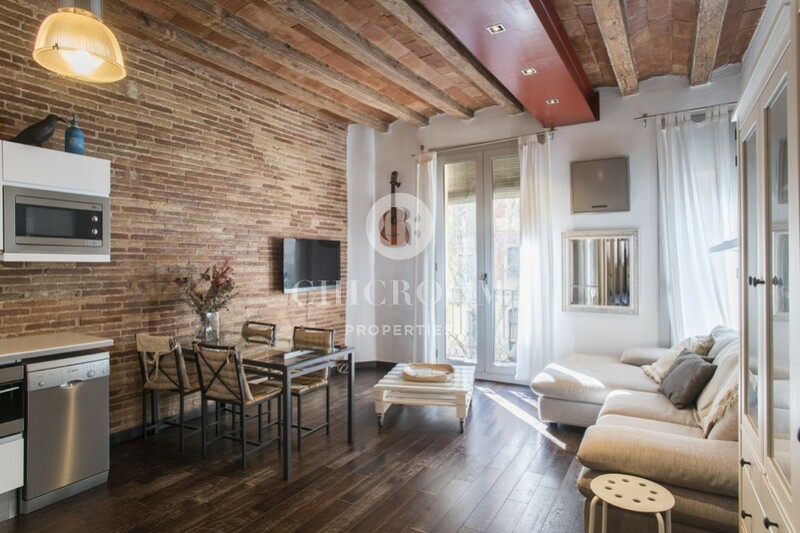 The typical wooden exposed beams with arched brick ceilings are a feature that characterises Catalan dwellings and mark the singularity of the local interior design. 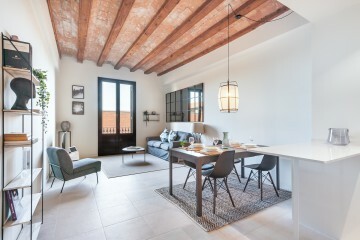 The colour of brick walls goes accordingly with the tones of the beautiful parquet and is in perfect harmony with the white walls and furniture all across the property. 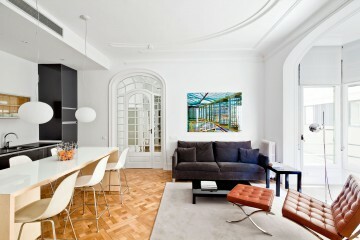 The main living area consists of a shared wide space between the living room, the dining room and the kitchen. 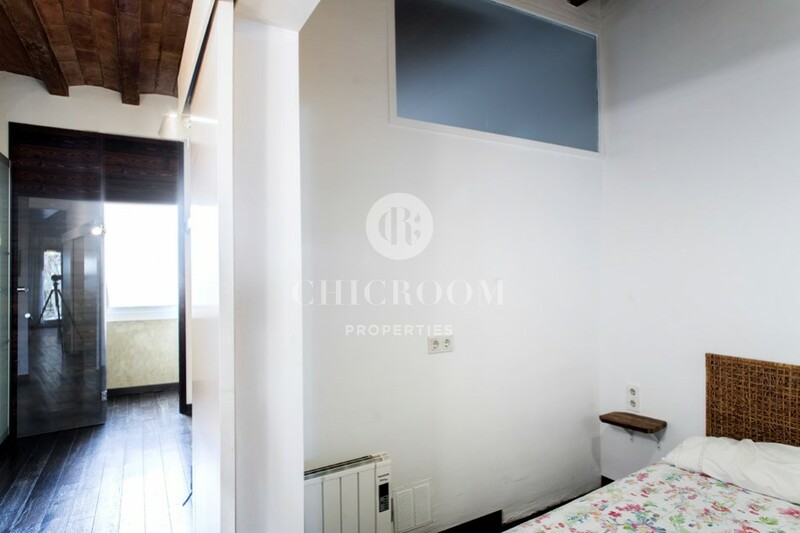 It is linked to a small balcony and gains a lot of natural light. 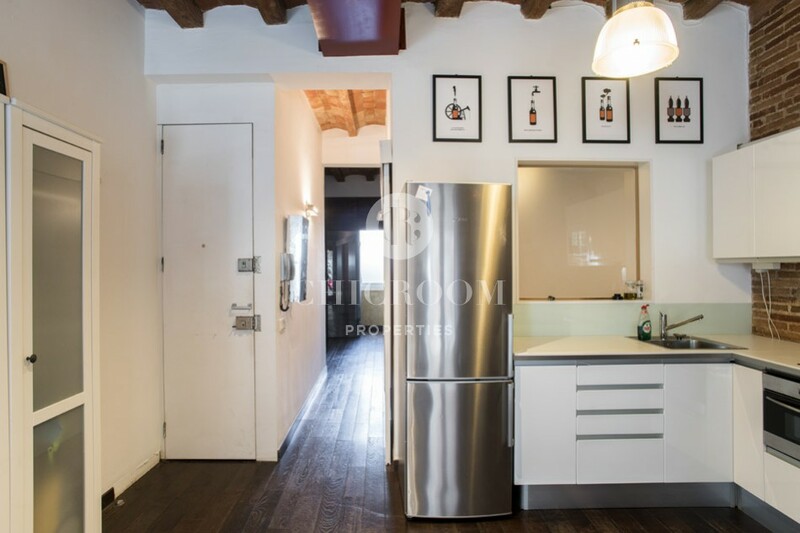 The kitchen comes equipped with new top-quality appliances and cabinets. 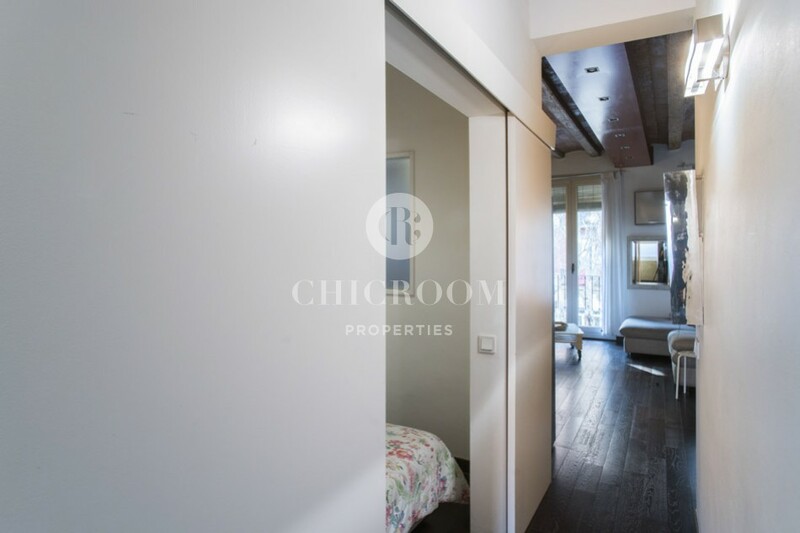 The first bedroom is a double one separated by a sliding door. 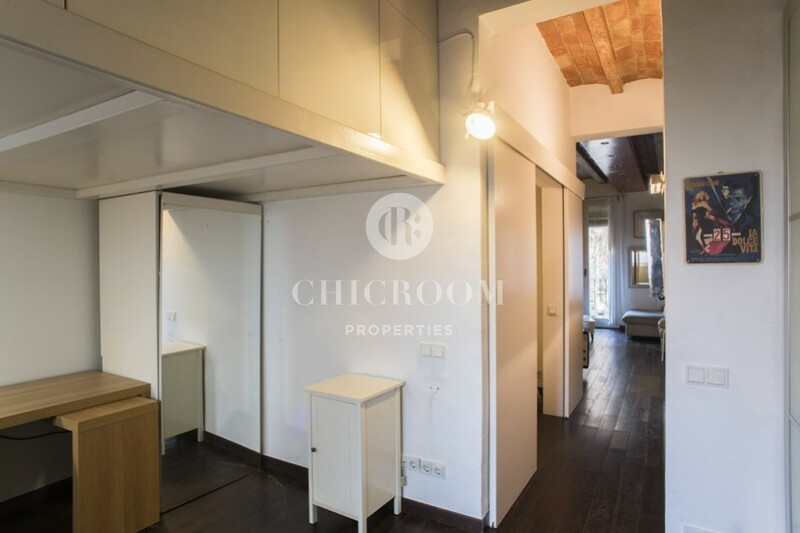 The second one is larger and has a double use. 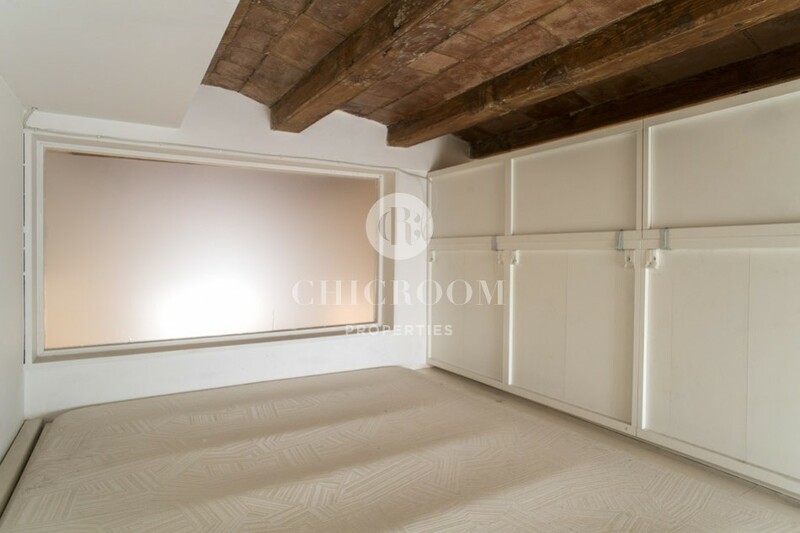 There is a mezzanine where a mattress can fit and can be turned into a children bedroom. 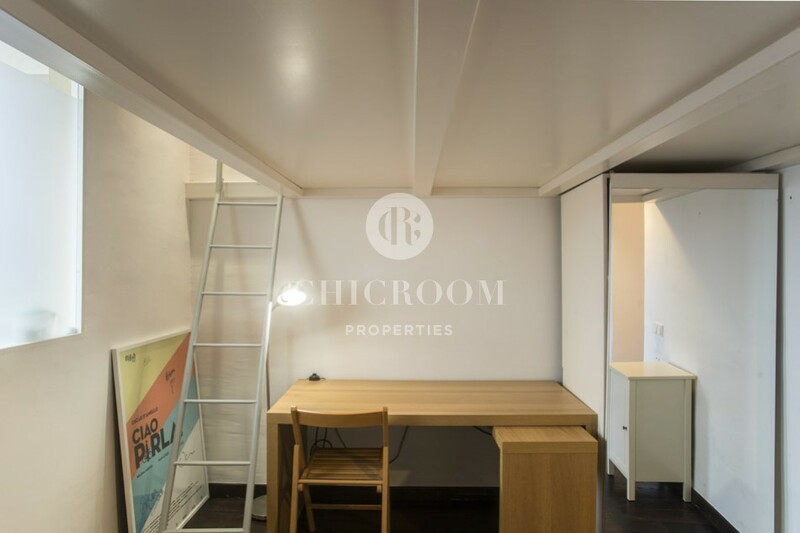 Underneath there is working space with a desk. 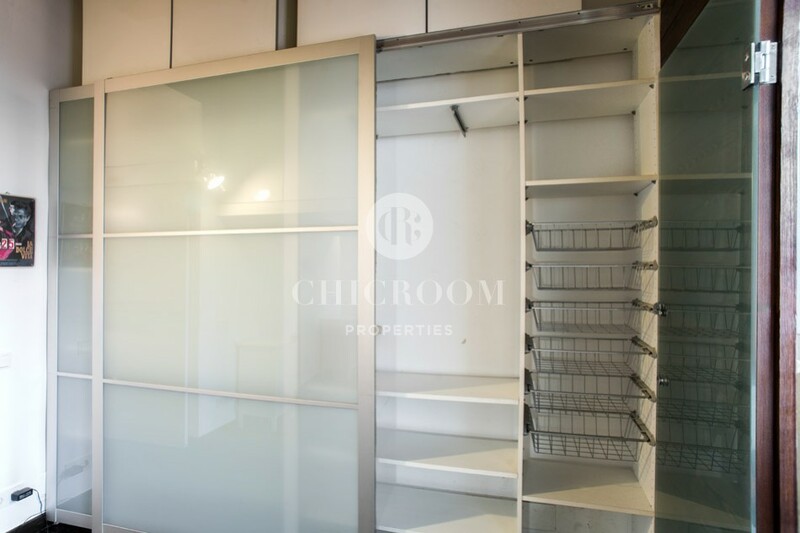 It contains a huge wardrobe with sliding doors and a significant storing capacity. 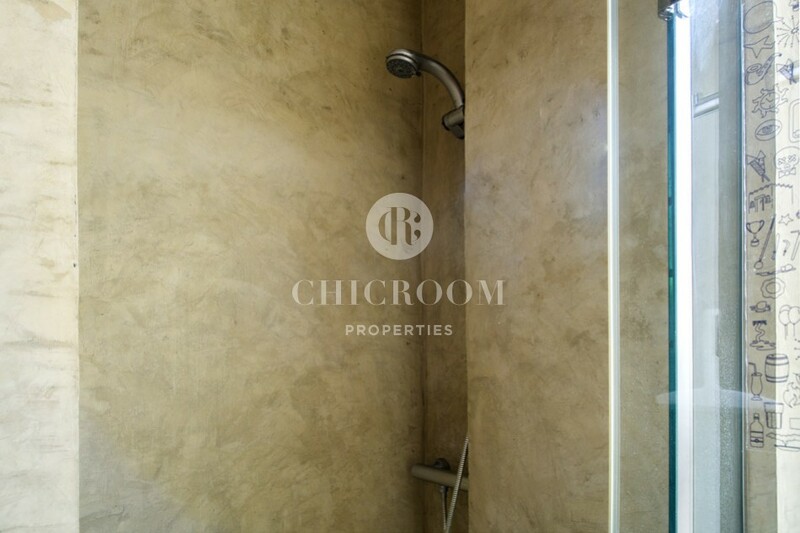 The bathroom is adjacent to it. 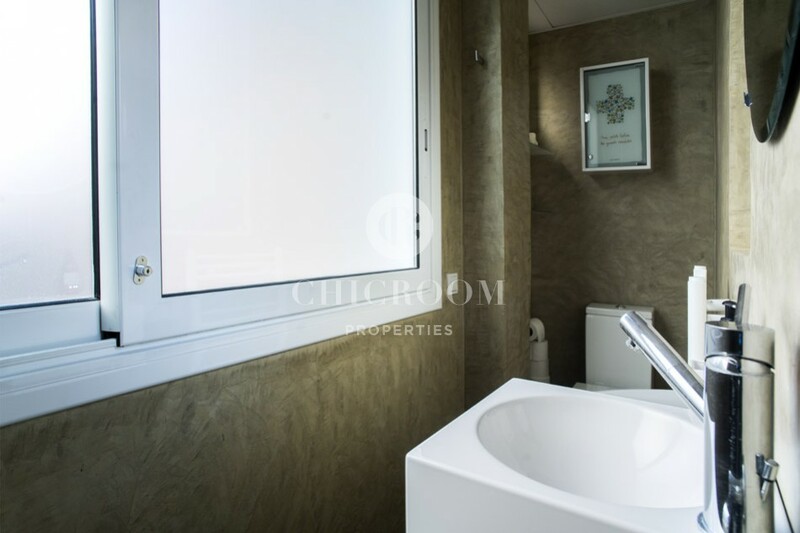 It comes with a shower cabin on one side and a sink and WC on the other side. 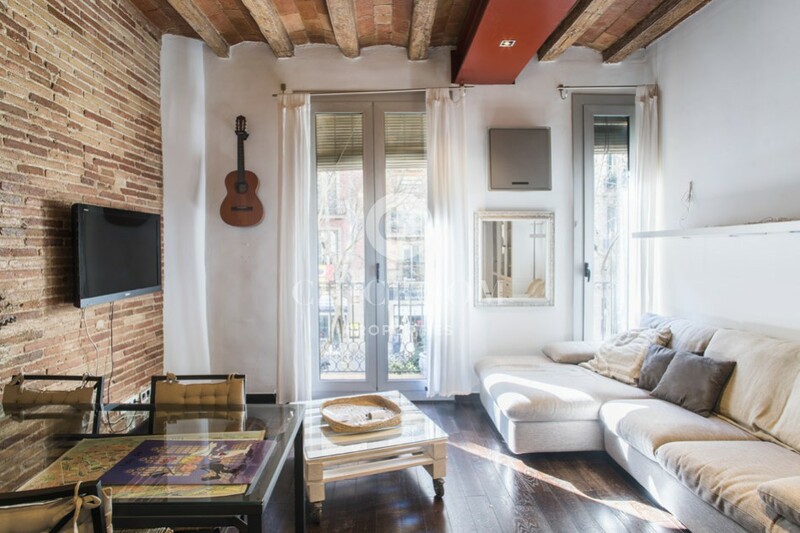 If you are looking for settling down the centre of Barcelona, we recommend you this apartment for rent as your new home. 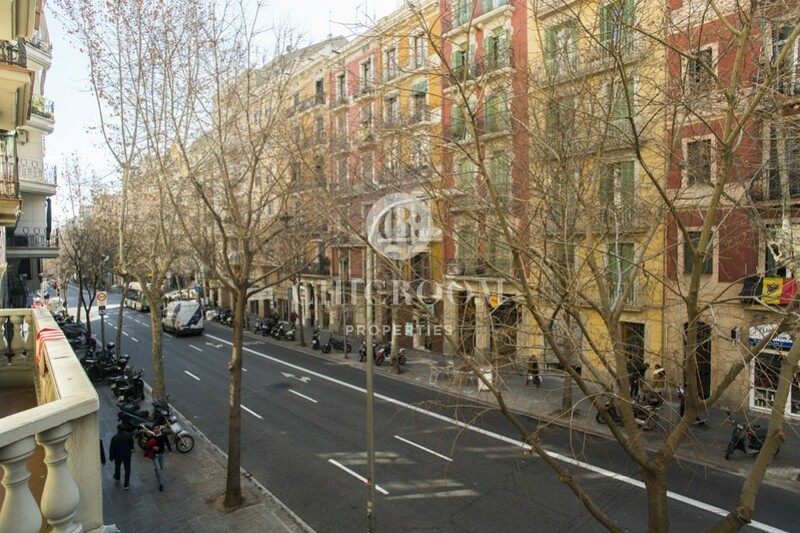 Situated between Diagonal Avenua and Gran Via, this residential district is home of various businesses for your basic needs. 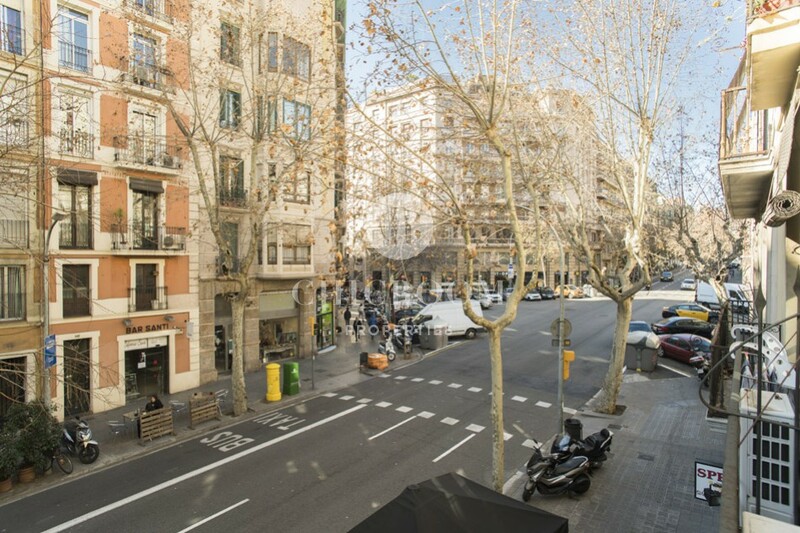 Paseo de Gracia, Plaza Catalunya and the old town are easily reachable on foot and any other district of Barcelona can be accessed by public transport. 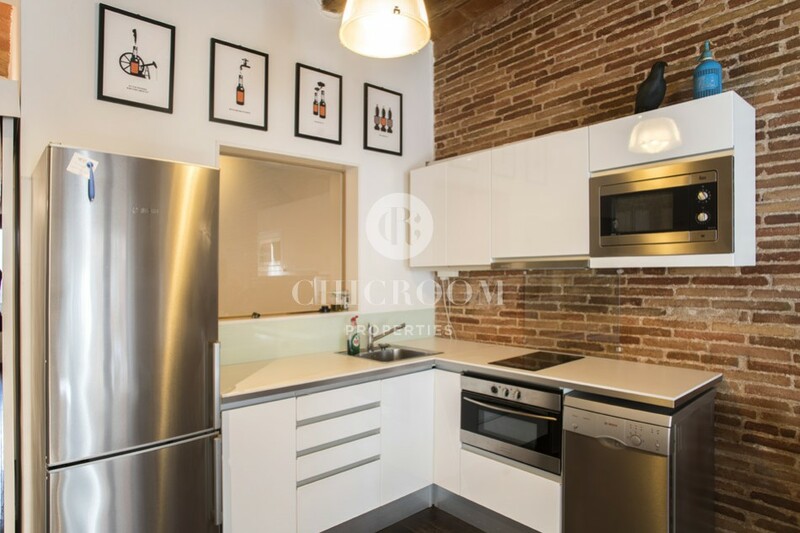 Do not hesitate longer to contact us now as this property is a real opportunity to live in the centre of Barcelona and in total comfort.